The first Club President of the Rotary Club of South Jacksonville was Frank Sherman. As a boy, Sherman was one of the first Jacksonville Beach Lifeguards, serving alongside member Gifford Grange. In his teenage years, Frank's first job was to serve as a doorman at the old St. James Hotel, which is now Jacksonville's City Hall building in downtown Jacksonville, Florida. It was here, at the Old St. James Hotel, that Rotary Founder Paul P. Harris first met George W. Clark in 1892. Clark and Harris became lifelong friends. Clark became the first Rotary President of Florida (Rotary Club of Jacksonville) and was one of the first 26 Honorary Rotarians in the world. Paul Harris likely asked Clark to create the second Rotary Club in the world, but in 1905-1906 Jacksonville was rebuilding from the complete city destruction by the 1901 Great Fire. Clark's marble manufacturing plant and mortuary were destroyed in this conflagration. His new building, with 6 floors, was now one of Jacksonville's tallest structures.In the early 1930's, our President Sherman, against all reason, established the first large grocery store on the south bank of the St. John's River. The only way to cross the river was by ferry. This meant that he had to rely on customers on the south side of town. As this side of the town grew, his business prospered. This led to the first bank on the South Bank of the St. John's river (actually it was at a counter near the back of his grocery store). Friends and colleagues warned him of this folly but American Bank grew to be one of the largest banks in North Florida.Regarding healthy living, Frank believed his physician who told him 'orange juice and vitamins' were the key to good health and a long life. He shared this information with everyone he met. His own bank employees were provided free vitamins and orange juice daily. In fact, Sherman hired a bank greeter. Her job was to greet everyone as they entered the bank and offer them unlimited free orange juice. This 'orange juice welcome' continued to be an American Bank tradition for over 25 years. In his lifetime, Sherman was known as a visionary. He is attributed for establishing the first shared banking computer in Florida, establishing micr coding (the letters at the bottom of a check), and the creating the first drive-thru bank in the U.S.A. In addition, he is responsible for the creation of the Friendship Fountain in 1963, which was restored to better than its original luster in 2011. He saw a need and funded the construction of Memorial Hospital of Jacksonville and donated to Jacksonville University for years. He also assisted in the founding of the San Jose Country Club. Though his knees were failing him and he had to strain to hear, his health was strong until the last moment. He went home, took a nap, and never woke up. He was 93. What a life! Frank's wife Helen passed away three months earlier in a similar fashion. Upon their death, Frank Sherman and his wife Helen (an accomplished pianist) willed their money to good causes. They donated a majority of their wealth to Emory University to create endowments for the Emory's Candler School of Theology. These endowments included the Sherman Scholarship Endowment, the Sherman Fund for the Ministry of Church, and the Florida Preaching Institute. According to university officials, millions of dollars of scholarships have been funded but the original Sherman donation is still intact. Frank's words to all throughout his 93 years of life were from the scriptures (Proverbs 22:6) "Train up a child in the way he should go and when he is old he will not turn from it." He believed that to make the world a better place you must work with children early in life. Frank passed away two hours after attending a South Jacksonville Rotary meeting. Three club members in the entire history of the Rotary Club of South Jacksonville have held the distinguished position of District Governor of Rotary District 6970. The first selected, was Past President/Past District Governor Paul Mori. Governor Mori, a distinguished radiologist and founder/owner of the city's largest radiology firm joined the club in 1956. Bob Langley, Jr. was the second member to hold Rotary's top regional position. Also a Past President of our club, Langley, is the son of Charter Member, Bob Langley, Sr. At one time, the Langley family had four family members in the club. The Langley family established one of the earliest automobile companies in the city. Their Langley Oldsmobile (circa 1906), was one of the dominant businesses in the region.Past Club President George Linville was selected to serve the Rotary District 6970 in 1988. The year before, he had served as President of the Florida Association of Realtors (75,000 members). He owned his own real estate company which he operated with Rotary ideals. George was an accomplished auctioneer and provided his services free of charge to local clubs and organizations for fundraising.Connection to a fourth District Governor The Rotary Club of South Jacksonville has funded and supported the creation of two clubs. The Rotary Club of Southpoint is one such club.. One of its members and Past President of Southpoint is Cynde Covington. Cynde married South Jacksonville member and Past President Barry Covington. Cynde Covington served as District Governor of District 6970 for the 2010-2011 year.Distinguished Club MembersRotarians as a whole are very accomplished individuals in their field or classification. This holds true for most members at all of the nearly 34,000 Rotary Clubs throughout the world. Seldom do they seek or request attention and rarely do they discuss their achievements. This section is for our club to understand the fine men and women of our own club who made a mark on Jacksonville, North Florida, and maybe the world. Those members marked as HONORARY MEMBERS have been recognized by the club's Board of Directors and are considered members of the Rotary Club of South Jacksonville but are exempt from attendance requirements. They may join us for lunch at any time. Honorary Members are reconfirmed every year. Over the years, several other citizens of Jacksonville have been recognized by our Board. These individuals will be added to this list soon.Honorable Harvey Schlesinger - (1940- ) [Honorary Member 2011-2012 http://judgepedia.org/index.php/Harvey_Schlesinger Federal District Judge Harvey Schlesinger was added to our club roster in 1977?. Judge Schlesinger served as a Federal Magistrate locally for years. One of the duties of this position was to hold the Naturalization Ceremonies for North Florida. Thousands of immigrants became American Citizens under his judgeship. Though in a demanding position, he found time to donate hundreds of hours to charities including the Boy Scouts of America. Very few people know that Harvey actually started the Empty Bowls Luncheon charity in Jacksonville which is closing in on 30 years of helping the needy and raising millions for its cause. Harold Ashley DECEASED (Charter Member 1955) Jimmy Howard DECEASED Harold Ashley and Jimmy Howard must be mentioned together. It was the duo of Harold and Jimmy who spent over 15 years together (700 or more meetings) at the main registration table welcoming our club members and guests as they arrived and checking them off in the registration book. Jimmy was a retired head of Jacksonville's Imeson Airport, Jacksonville's largest airport prior to Jacksonville International Airport. However, Jimmy's club classification was titled "Stamp Collector." This was because another member held the classification of Airport Management. Harold's family held large tracts of land throughout North Florida. Upon his death, Harold established a trust which funded a major portion of Jacksonville University's football program. A large plaque is placed at the entrance to the football grounds noting this significant donation. Fritz (along with his partner, John W. Lee) donated 900 acres of land to the University of Florida, College of Law, in 1973. In 1997, he donated $290,000 to the University of North Florida to create a real estate professorship. The University of North Florida now has a Sheffield Building named in his honor. Of all of his awards and honors and real estate developments, Fritz was most proud of his Lifetime Achievement Award from the North East Florida Association of Realtors. Bob Massey, Sr. - Seldom does a club member serve on the Board of Directors more than one year. Bob Massey, Sr. holds the all-time record for Board membership. For more than 20 years, he served every club President as their Parliamentarian. In this position, he served the club as its divining rod keeping the club on the straight and narrow and reminding the Board why things were decided in previous years and how a rule or regulation should be interpreted. His son Bob Massey, Jr. a member since 1990, remains active in the club. Gifford (Giff) Grange - DECEASED (June 2011) A man of few words but LARGE THAN LIFE. Physically, Giff was a big man and had character which was even bigger. A fourth-generation Jacksonville native, Giff joined the Navy and was accepted into the Naval Academy. He left the Academy to enroll in the University of Florida. In order to pay tuition, he worked in a real estate firm. After graduation he opened his own real estate company in Jacksonville which he operated for more than 30 years. He served two years in the Florida State House of Representatives and ten years on the Jacksonville City Council. His health remained strong until his final day on earth. His son Dinkins, a member since 1994, remains active in our club. Rotary International and the Rotary Club has always honored those with Perfect Attendance. Perfect Attendance is described as attending every meeting (48 meetings per year) and/or making up (attending another meeting) at another club anywhere in the world. Prior to 2005, members had to adhere to the requirements above. 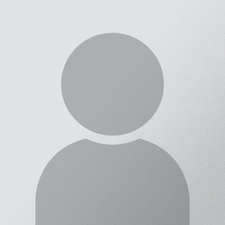 Since 2005, members are also allowed to make-up missed meetings online. NAME YEARS Meek, Emory 48 Drewa, Marcus 42 Johnson, Ted 36 * Wilson, Ken 34 Hanks, Jerry 33 * Cavallaro, Larry 28 Meek, Robert 26 * Purser, Bob 24 * Grange, Dinkins 22 Booth, Skip 20 Callender, John 20 * Phelan, Mary Alice 18 Darragh, Mike 17 * Mercier, Lee 16 * Massey, Jr., Bob 15 Miller, Joe 14 Montgomery, Ted 12 Scott, Dean 12 * Boyer, Tyrie 11 Hardaker, Joy 11 Harris, Robert 11 * Keith, Scott 11 Gentry, Carolyn 10 Joost Jr., Hobart 10 * Struys, Odette 10 ** - denotes Club President Our Patented South Jacksonville Rotary Welcome Song (Approximately Since 1965)This welcome song is sung at every meeting immediately following the introduction of visitors and guests. For years, the club prided itself on having a pianist lead the club in song and play for the club during lunch. The longest running pianist was the wife of former club member and Past President Ken Weiss, Sarah Weiss. After turning 80, Charter President Frank Sherman took his place of honor at the Head Table. He proudly led the club in the Welcome Song until his final day on earth. He added one line at the end of the song which was "Give em a hand." We Here In Rotary Say Welcome, Come Again. Most Memorable Programs Past President Hurricane Harry Reinhardt (Miami Hurricane and Major Contributor to the University of Miami) was able to divert Coach Jimmy Johnson to speak to our club. The club invited its spinoff club, The Rotary Club of Mandarin, to join us for this grand event. With visiting Rotarians and guests, over 250 people were in attendance. There have been three women who have held the position of Club Secretary since the formation of the Rotary Club of South Jacksonville. They have provided an invaluable service to Rotary and our own club. Patti Chapman: 1990-Current Patti is a remarkable club secretary. Not only does she hold the position as club secretary for our club but after ten years serving our club, the Westside Rotary Club hired her as its secretary. And, for the past four years, Patti has served the District 6970 as the District Governor's right hand. Congratulations Patti Chapman. Today, it is hard to imagine a time when smoking was acceptable. But from the time of the formation of our club in 1955 until 1990, members were allowed to smoke during the meetings. Over the years, family members of our Rotarians have been added to our roster. They must qualify in the same way as other members. Two families (The Langley and Morales family) have had four family members in the club. Ed Ranney, Tom, Tom Jr.
Good Government Award The Rotary Club of South Jacksonville formed the Good Government Award in order to recognize those individuals who served the City of Jacksonville selfishly and above and beyond the call of duty. This is a list of those with exemplary service to our local government and City of Jacksonville. Every year in July, the office of President of our club passes to the new President. The new President is presented with GIANT SHOES (He has some big shoes to fill - started by P.P. Ted Johnson- President 1981) and a diamond rotary pin which is the same pin that has been carried by nearly every President to hold this office. Three Tenors In the early 2000's the club was repeatedly serenaded by the Three Tenors. Jeff Edwards, Mike Darragh, and Lee Mercier harmonized their voices to entertain the membership. 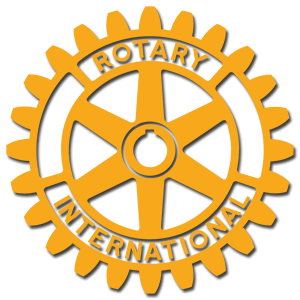 Rotary International celebrated 100 years in 2005 with numerous functions, celebrations, and events. One idea that was proposed, was to create a special Centennial Bell and pass it among the first 100 clubs of Rotary. This idea became a reality but instead of one bell, three bells were cast and divided among the 100 clubs. In February 2005, one of the bells arrived at the Rotary Club of Jacksonville. The Rotary Club of Jacksonville was the ? ?th club and the first club in Florida. Club member Joe Miller had made arrangements to pick up the bell after the Rotary Club of Jacksonville's meeting and bring it to a South Jacksonville Rotary meeting the next day. Club President Jay Plotkin along with PP/PDG George Linville were photographed with the bell. Jacksonville, Florida, actually has produced two famous Rotarians in regards to Rotary International. The Rotary Club of Jacksonville's first president, George Clark, was established as the 26th Rotarian in the World. A terrific personal friend and mentor of Paul Harris, Clark hire Harris in 1892 after he arrived in Jacksonville. They were lifelong friends. When the Rotary Club of Jacksonville was formed, Clark was named the First Rotarian of Florida.